I am thrilled to have my lovely sewing friend Renee from Nearest the Pin sharing with us today. Renee's sewing is beautiful. I absolutely adore her striped blazer. A little while ago Renee said she wanted to make the Coco top. I think I was reading about it just one day later! Oh, look! Lucky Miss A got a mini Coco! And how about this gorgeous outfit inspired by the Tinny dress pattern? If your child has ever applied sunscreen all over... well, everything, you will love this post! I am a big Star Wars fan, so I love this outfit Renee made for her son. There are many more beautiful creations on Renee's blog! 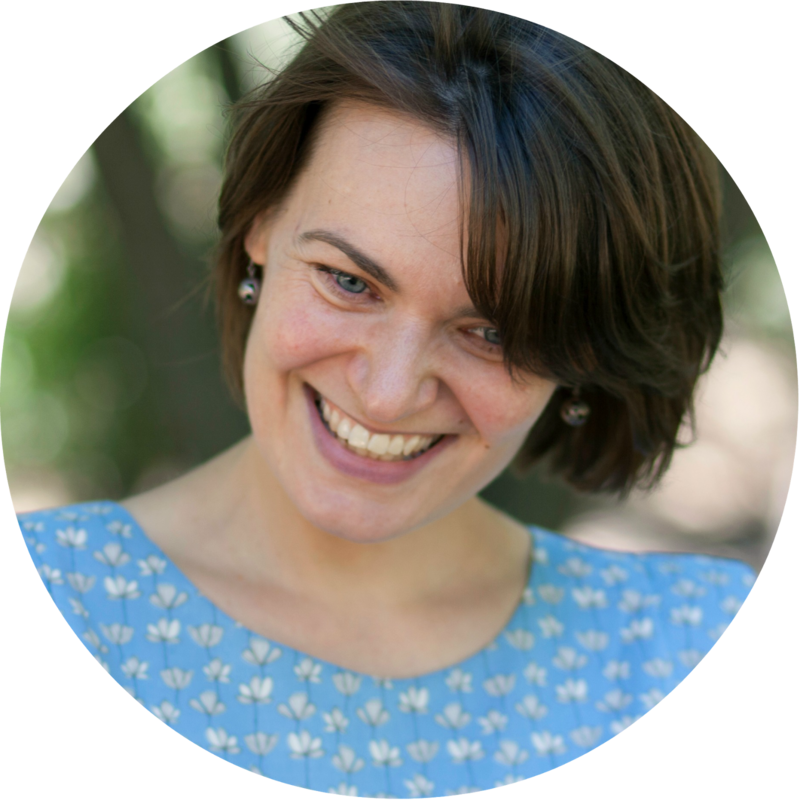 Woohoo – my first ever series guest post!! Thank you to the lovely Jenya for the invitation to be part of her 'You & Me' series. This series is all about sewing and how it’s part of our relationship with our kids. Of course, so much of what I sew is for them, but I also like to use sewing as ‘me time’ to sew for myself as well. This series is the perfect opportunity to sew for my daughter and for myself! I wanted to make something that reflects time that my daughter and I love to spend together. 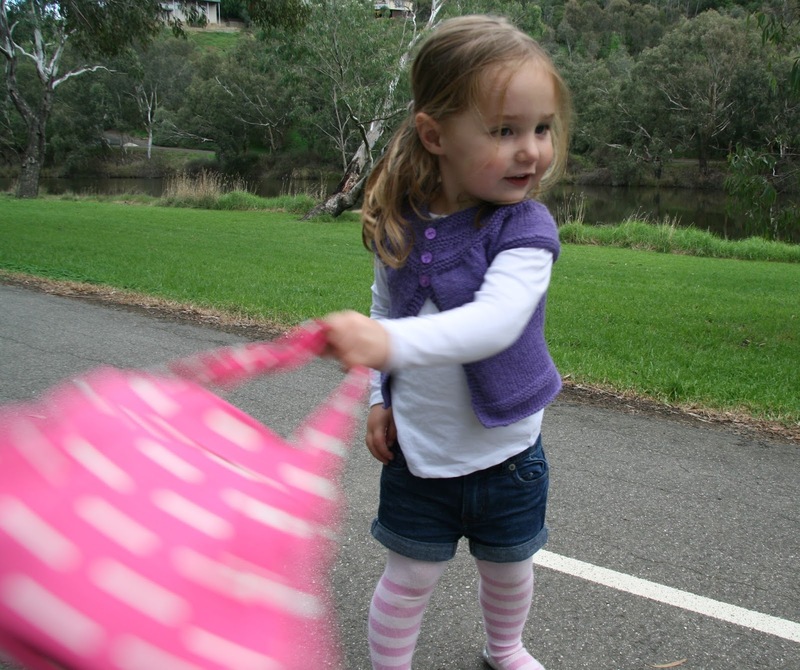 As a fairly typical 2 year old girl, Miss A loves handbags – she fills them with toys, crayons, her brother’s matchbox cars and other assorted essentials. We have a ritual of walking along the river path just near our house down to the café for a coffee, a babycino and a play at the playground. She always likes to take a bag with her to make sure she has all her café necessities. 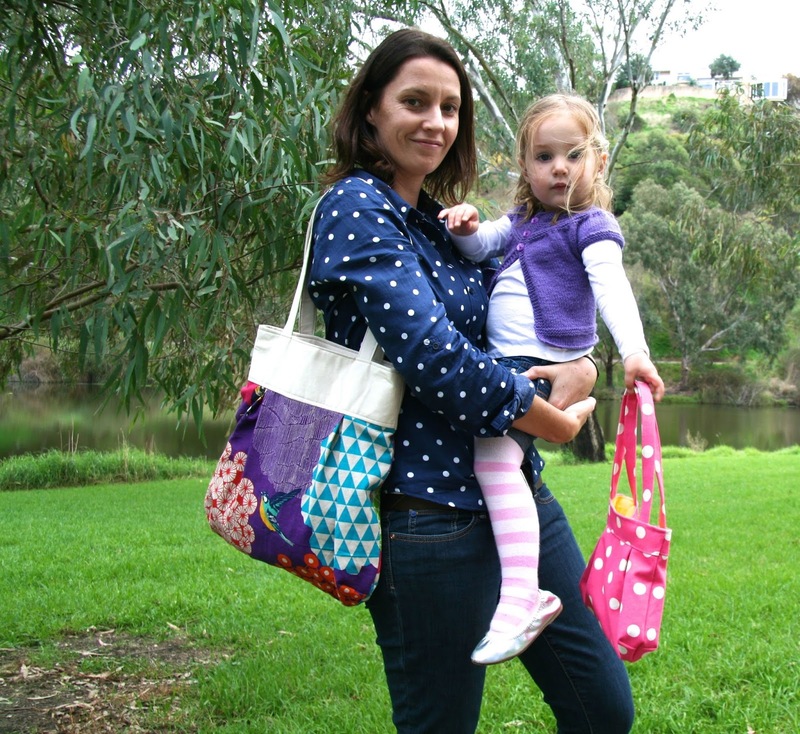 She wasn’t necessarily in dire need of a new bag, but I certainly was – so there was the push I needed to make a new bag for me and a mini one for her. So this project, along with a lot of my sewing, was really a bit about her and a bit about me. I love to make her things, especially those that I know she will love (hence the pink). It’s also for me – sewing is me time and I get a lot of fulfillment from the whole process, the fabric shopping, choosing patterns, writing blog posts in my head…. the whole bit. So, even though I often make things for my daughter, I wouldn’t do it if I didn’t love it. 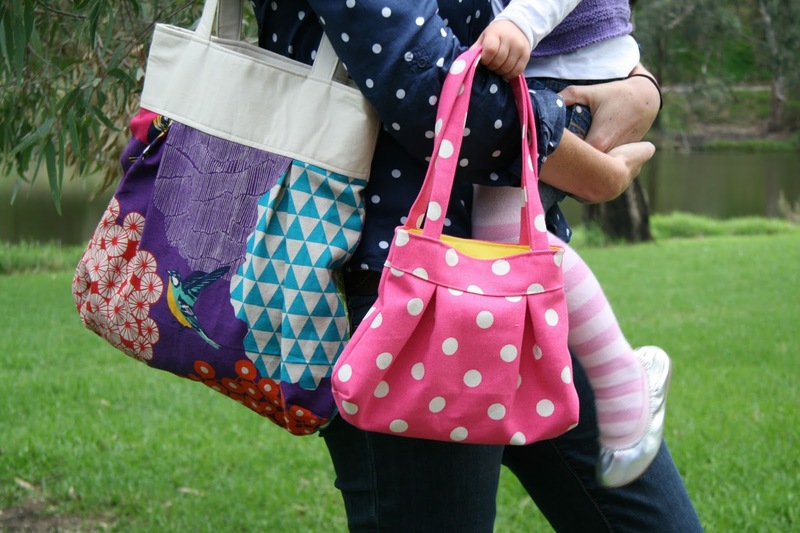 This series has been a great enabler for the two of us to spend some girl time – we have our new bags ready to go, we just needed the stroll for coffee, so off we went! If you’re interested in pattern and fabric details, here they are. 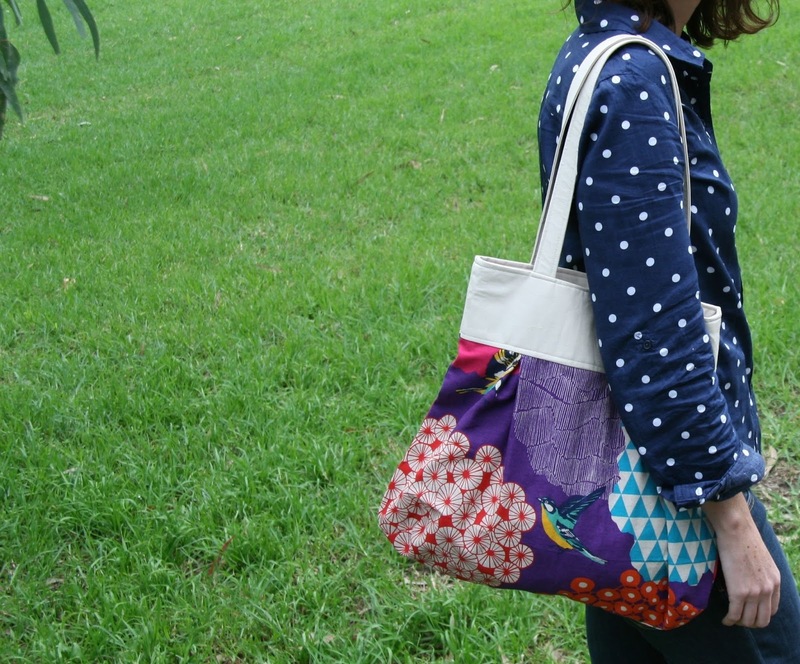 The bag pattern is one I have been eyeing off for a few months now – it’s the debut pattern release from Krista of Lazy Saturdays and is called Jenny's Purse. I think it makes a fantastic ‘throw in your essentials and head out the door’ bag. There is a large zippered pocket inside to keep your keys safe, as well as two smaller pockets for your phone etc. The main fabric is Echino Kalmia in purple which can be found online here (I have no experience of this shop as I bought my fabric locally, they could be good, bad or otherwise). I didn’t get a photo of the inside, but it’s hot pink, and those pockets are fab! Miss A’s bag is approximately a 70% reduced version of the Jenny’s Purse pattern, although I did play with the proportions a little. The striking pink polka dot fabric is Echino Maruco Large Polka Fuschia. It’s a linen cotton blend and has plenty of weight for bags or home deco projects. I purchased mine from a local store, but you can find it online here. Her bag is lined with bright yellow cotton for a fun contrast. I don’t normally need too many excuses to head out with Miss A, but it was great to have one today – thanks Jenya! The objective of this series has been achieved at Nearest the Pin – a bit of quality girl time and some fun sewing projects. Thanks so much for having me Jenya, it’s been a blast! Thank you very much for sharing with us today Renee. I imagine walking along the river with your little girl is a lot of fun! 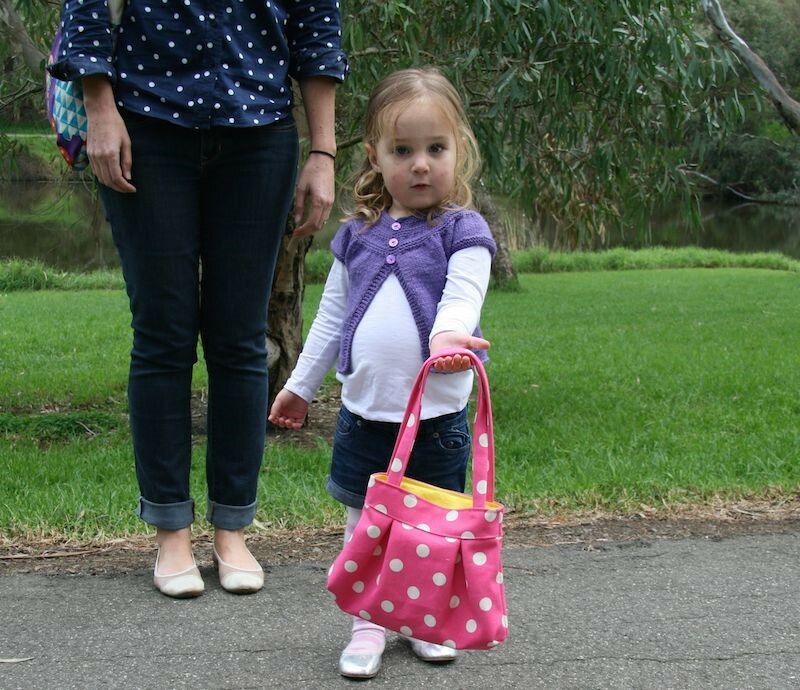 And of course no girl - not even a two year old - can have too many handbags! this is so cute! i love that your mom & daughter look is the same but not! and what great way to celebrate sewing and quality time all in one! great post! great series! A girl can never have too many bags, no matte what her age! Beautiful bags. Two beautiful bags, I particularly love the bag you've made Miss A - any little girl would be delighted to have a bag like that. 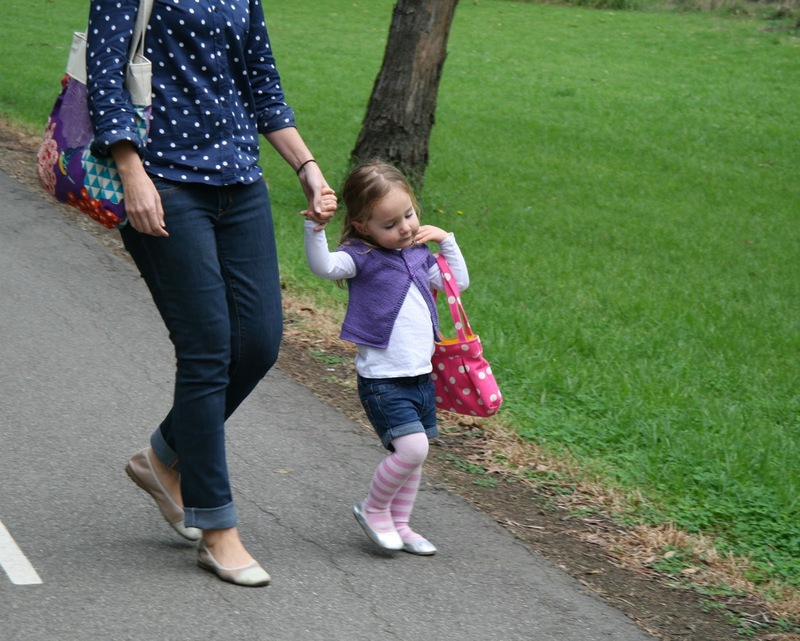 Oh my, I didn't realize how cute mother daughter matching purses could be! love the fabric choices too! Love these bags! You've given me a great gift idea, thanks!